After the credits rolled on Fantastic Beasts: The Crimes of Grindelwald, a lot of people were still rooted to their seats. No, we weren’t waiting for a post-credits scene as is the norm with the mainstream superhero movies today. 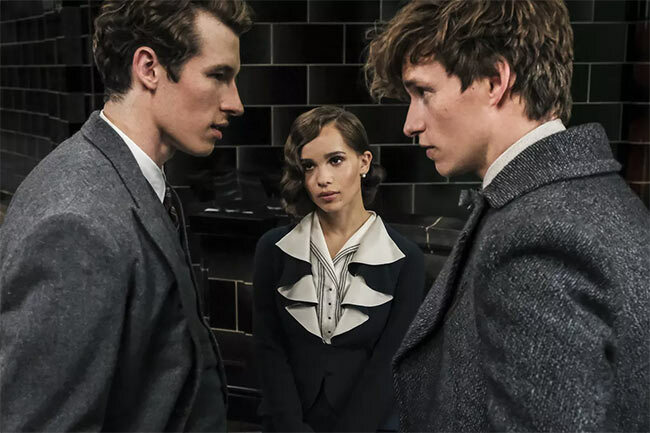 The second instalment in the Fantastic Beasts franchise had just given everyone a great deal to process in terms of what it offered – the massive implications on the existing canon, the gigantic bite of a wizarding world beyond the confines of schools and Britain. While there’s a whole lot to take offence about if you’re holding the original seven-book series close to your heart as unchangeable canon, the only crime that we would find the Crimes of Grindelwald guilty of is that of being another attempt at setting the stage for the rest of the franchise – an engaging and entertaining one with its own ups and downs. The movie is long and starts off strong in its 133-minute run. We pick up the story not too far after the events of the first instalment in the Fantastic Beasts story. Things have progressed just enough to set the happenings of this movie in motion, with the common theme of fulfilment in between them. 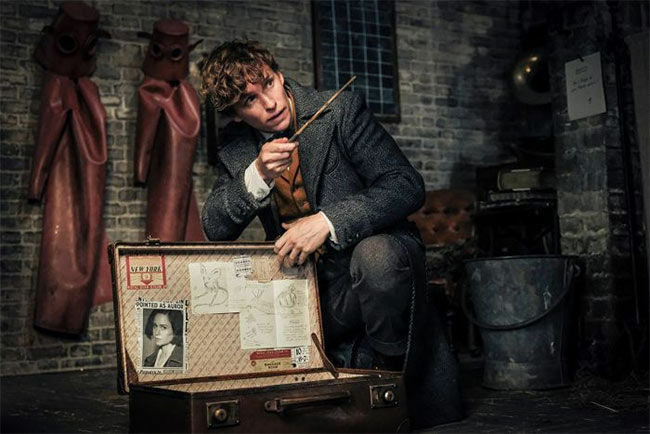 Newt is back to the UK, trying to get his travel ban revoked so that he can fulfil his goal of travelling the world and rescuing more Fantastic Beasts, all with his unique righteousness in tow. 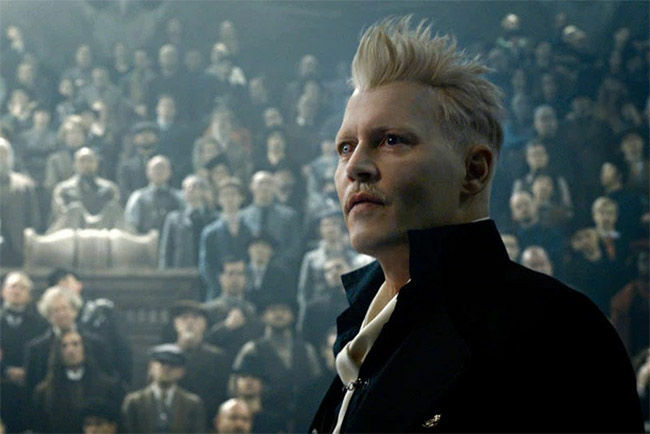 Grindelwald, now in a full-fledged Johnny Depp avatar, is fulfilling promises he made in the climax of the first movie. Porpentina “Tina” Goldstein has fulfilled her goal of becoming an Auror and is off to her first assignment. 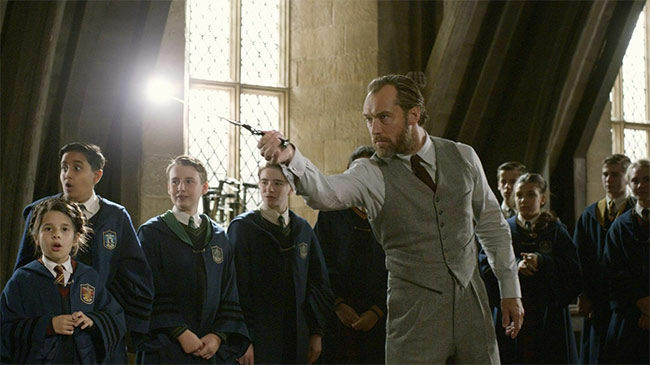 Dumbledore, now in a freshly minted Jude Law avatar, is fulfilling his lifelong goal of sending his pupils off on dangerous quests that he himself cannot undertake, for one compelling reason or another. Those expecting this movie to provide an adequate follow-up to the beast-focussed first instalment will not exactly be disappointed, however, they will face bewilderment to some extent. The namesake creatures in this movie are sparse and not quintessential to the plot, except when it is convenient. Not that we are complaining – give that niffler a couple more gold coins, please. As if aware of this, the movie has a grand scene showcasing Newt’s own personal collection of beasts hidden in his basement at the very beginning, before sending him off on the aforementioned quest. The movie takes back some of the crucial things established by the first instalment. Credence Barebones is alive and well, at least as well as an unwilling member of a travelling circus can be. He is off to Paris to find his original family, using his Obscurial powers as and when required with no apparent side effects. Almost the entire main cast is after him in one way or the other, with only Nagini, in her current Maledictus form, by his side faithfully. There are references to his heritage that build up to a mind-boggling twist in the climax, there’s one of the weakest prophecies, in terms of plot relevance, that we have seen in the Wizarding World yet, there’s an entire slew of side characters that come and go into the story serving the purpose of setting the stage for the upcoming instalments in the franchise. Performances by Jude Law and Johnny Depp are the moments of glory in the movies two-hour-plus run. Depp’s Grindelwald is more sophisticated than the violence-hungry Voldemort from the original story, with undertones of fascism quite evident in his ways. His wizarding skills take a backseat to his convincing hold over his followers and the silver-tongued propaganda skills that get him more of those during the events of the movie. 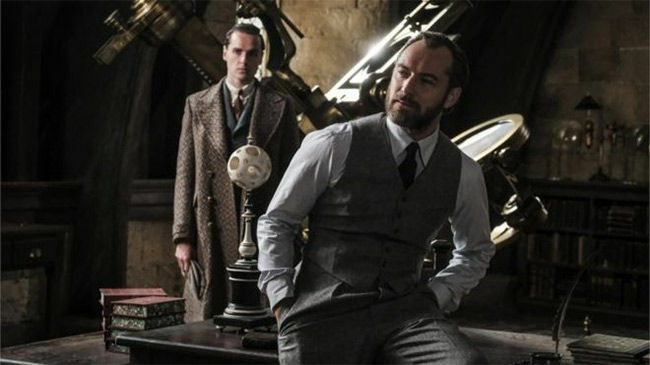 Jude Law’s Dumbledore steals the show with just the right amount of reference to his weakness towards Grindelwald. Anyone looking for more explicit signs of his homosexuality is looking at the wrong universe. Of all the characters, Dan Fogler’s Jacob Kowalski feels the most downgraded from the original. The first instalment had him almost as a centrepiece of a story that was set on the borderline of an all-out conflict between the Wizarding world and the No-Majs, while the second instalment, where the conflict is more real than ever, relegates him to the very occasional comic relief that could probably have been replaced by more Niffler humour. There’s a couple of scenes in the movie, as evident from the trailers, where we are taken to Hogwarts. The first time that happens, the familiar Harry Potter theme emerges in the background, and goosebumps at that moment are unavoidable. It also makes you realise how lacklustre the rest of the movie is in terms of sound in comparison. 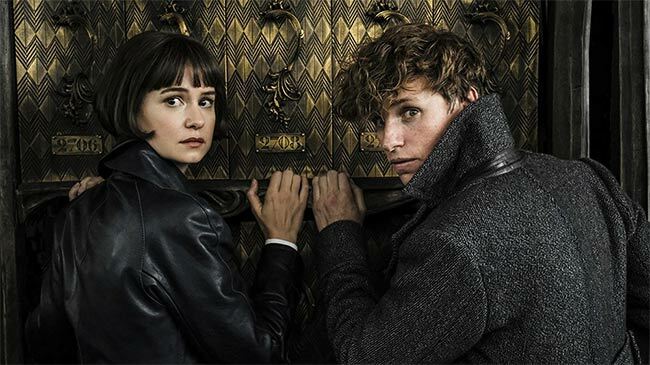 The Fantastic Beasts theme has the unfair job of matching the original Harry Potter soundtrack, and needless to say, it is far from doing so. This could go on to show how iconic the original movie was in terms of its music, and also shows how heavily the new series borrows from the legacy of the original’s success. If anything, the movie offers too much. Providing back stories to multiple characters, seeing them change sides, romantic arcs culminating for the good or the bad, more wandless, spell-less magic than we’ve seen so far, a number of flashbacks for character development and more. However, what one needs to keep in mind is that these stories are not based on a series of books that provide the background lore. Yes, some of it is on Pottermore, but not at the scale and conviction offered by the seven-part book series that the Harry Potter movies could rely on. In that sense, this movie is closer to a book in many ways. Just like how you know that the threads Rowling left open in The Prisoner of Azkaban would come full circle in the Goblet of Fire and the other books to come after, Fantastic Beasts: The Crimes of Grindelwald appeals to your faith in the franchise and Rowling’s ability to create an intriguing, magical universe. The exact things that would make this a cumbersome movie for an average moviegoer make this excellent fodder for an avid Potterhead. The fact that it has left most of us discussing theories and canon-implications even hours after the final credits rolled is a testament to how interesting the series is going to be with the future instalments. If the first one got you intrigued about a world of magic beyond Hogwarts, this one throws you right into its depths. Let’s just hope that the future instalments offer us a way to swim through satisfactorily.